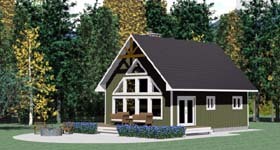 Nothing was missed when this charming little A-frame was designed. 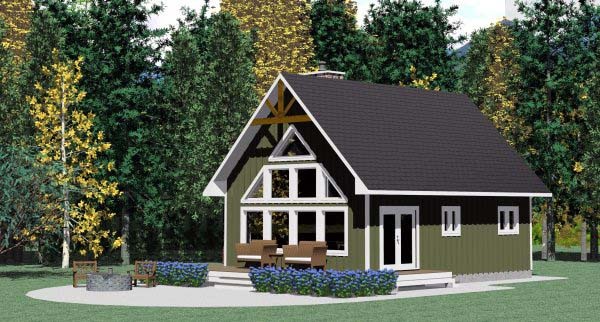 At the rear entrance are a stacked washer and dryer, a large closet for coats and skis and even a bench to make putting on winter footwear easier. A very roomy family area at the front features an island kitchen and a spectacular vaulted ceiling. Access to a spacious deck is made easy via french doors in the dining room. The open staircase leads you up to the sleeping loft which can be either closed off as shown or open to the living area below. 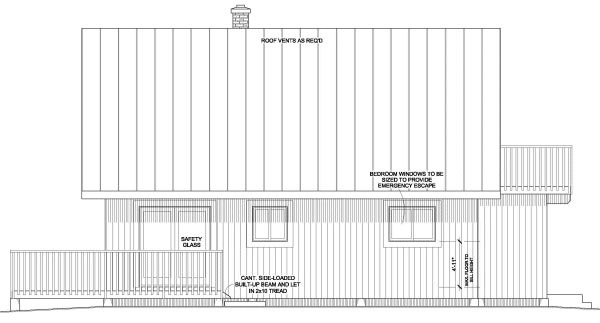 Question: Does the house width of 32' include the deck area since the living/dining room is only 23'? Answer: Yes, the house is 24 feet wide including the two 6 inch walls so the width is 32 including the deck. 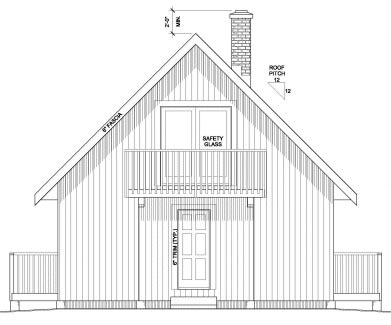 Question: What size are the rafters on this plan please? Answer: They are 11 7/8" I-Joists, you could also substitute 2x10's depending on local snow loads. Click Here to download a free PDF Brouchure of Plan Number 90995. The house is 24' x 32' without the decks and mudroom, the outside dimensions of the mudroom are 10' x 6'.